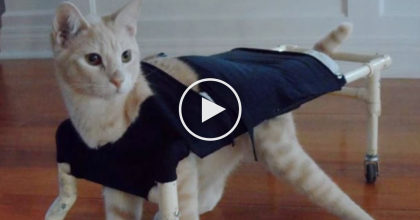 This Kitty Brings A Gift Back To His Owner, Just Watch And See What It Is… How Sweet Is This?! This kitty doesn’t bring back dead animals, instead this cat knows how to brighten his owners day and it happens so much that his owner was able to record it on camera! 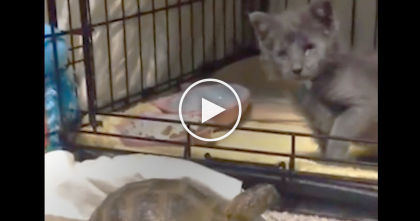 When she opens up the door for him to come in, you won’t believe what kitty brings her, a beautiful flower! In fact this cat also brings back sticks, flowers and anything plant related. He Starts Playing The Accordion, But When These Cows Hear It? They Just Can’t Get Enough!! 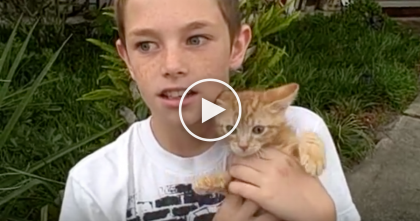 Boy Heard Meowing Coming From Car, But When He Tries To Rescue The Kitten…Listen Closely! They hooked up a toy truck to the lazy cat – Now watch when it starts going forward… Hahahaha!! 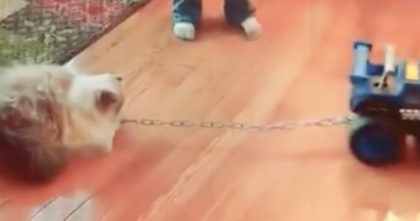 He Was Crippled And Couldn’t Walk, But Then His Owners Did Something Amazing… I Love This!